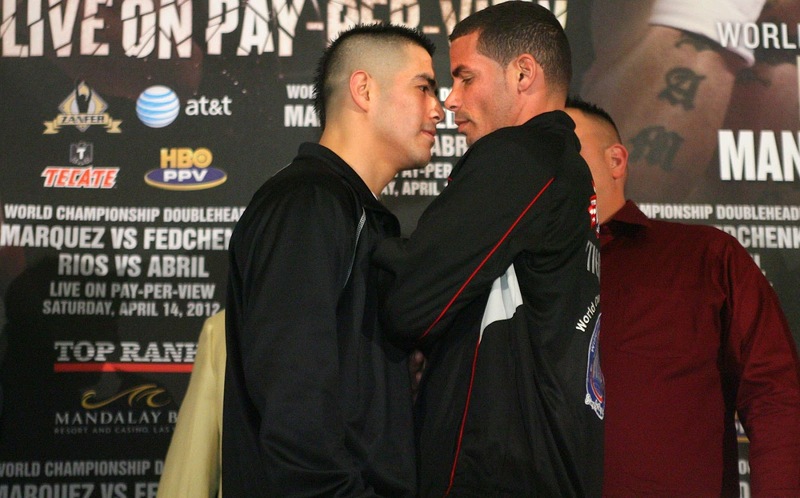 This Saturday Brandon Rios fights for his old WBA Lightweight title against Richard Abril. Rios was originally set to face Yuriorkis Gamboa but that fight was called off and Abril came in as replacement. Abril's only two defeats are split decisions losses to Breidis Prescott and Henry Lundy who are both very good opponents. Abril won a unanimous decision over Miguel Acosta in his last fight, so you know Abril is a good opponent for Rios and one who will give him a tough fight. 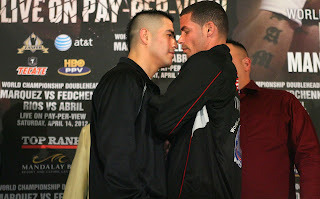 There has been plenty off trash-talking between Rios and Abril in the build up to this fight, some harsh words and a tense face-off which resulted in a scuffle between the two. This all makes for what should be a really entertaining fight. With all the talk of Rios potentially fighting Juan Manuel Marquez after this fight, could he be making the mistake of looking past Richard Abril?